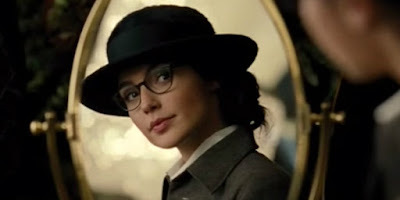 I have seen and I liked Wonder Woman. I went to a pre-release screenings last night. It was an audience made up of about an equal number of men and women. Many of the little girls were dressed as Wonder Woman. Most of the women had on Wonder Woman shirts. When the film ended the audience cheered (the loudest coming from the back two rows of all young men). While I’m not going to do an actual review I did want to make a couple of comments. 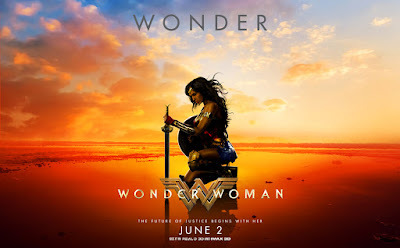 -I think the reason the film is clicking with critics is that it is an atypical comic book superhero film. The film is novel like in its construction. Things take time to happen (a friend thought it was little long but loved how much detail was in it). We have honest to goodness characters. Anyone beyond a walk on part actually has some depth to them. Most shocking is that the action in the film comes naturally. There is a reason why things happen. Only the final battle between Diana and Ares falls into the realm of typical superhero smash up. -Depending on what the box office is the film may have unexpected ripples in the film and comics industry. First it may finally prove that female centered stories can be big box office. Finally those in Holly wood will realize that if you give us good films it won’t matter who is at the center. Finally we can get some of really great films about some great female characters. Second it may help to kick down the barriers for women directing big budget action films. PAtty Jenkins does a hell of a job and I’d have said that regardless of who directed it. Why anyone would think that women can’t handle the circus of filmmaking when the only difference between something like Monster and Wonder Woman is budget is beyond me. I think that the film will send people into comic shops and book stores and will boost sales of similar comics- who knows even the guys who might not have purchased a female centric comic might decide to branch out. -I am curious how reaction to the film change over time. What will the masses of humanity think? Can it be seen by most people on its own terms? So many other films compare it to the other DCU films, but would people be in love with it if they hadn’t compared it? That last question I think should be rephrased to how will the film be seen five years from now? While there is no question that DC got the character dead nuts right will it still be viewed that way a few years on. Will it be a brief shining moment or will it be the first step in something more? -On a personal note I am still trying to sort out what I think of the film. I’m still not sure if I’m full taking the film on its own terms or if the other DC films are playing into it. I mention that simply because there is no discussion of the film that doesn’t mention the earlier films. I’d like to think I’m seeing it for what it is. -I will say I don’t like some of the effects. They are too unreal. - Did anyone other than one guy who pontificated after the film very loudly think the film was really a Zack Snyder film in disguise? Other than the final battle it looks alien to the films he's been turning out. -I strongly recommend the film for anyone interested. I'm also hoping, and based on the little girls I saw last night guessing that it will happen, that the film will become a cultural touchstone for women and make them realize that they can do anything they want.